Two stock exchanges are in operation in our country – Dhaka stock exchange and Chittagong Stock Exchange. The establishment of Dhaka Stock Exchange introduced a new horizon in capital market of Bangladesh. The remarkable progress of the last 10 years of Dhaka Stock exchange has been made possible by the co-operation and assistance of its very skilled personnel, members, SEC, the listed companies and other associated participants in the stock market. DSE is a nonprofit making organization. I am incorporated on 1954 as a limited co. by guarantee on 1956; floor trading was made with open cry- out auction system .Now DSE is a completely automated exchange with screen based trading facility on countrywide communication network. The automated trading system of Dhaka Stock Exchange has removed all the limitations of the traditional ‘Cry-Out’ system. After launching the automatic trading system, Dhaka Stock Exchange’s major problem has almost been solved. At present, there are no such major problems as was available during the Cry-out system. Two types of Stock market. First one is primary market and second one is secondary market. Primary market issued shares first time, then the shares coming secondary market. Both primary and secondary market is dependable to one another. In primary market shares are issued by IPO to the public. In secondary market the shares, which are issued in the primary market, are traded through the brokers. In this study data was collected and information were tabulated, processed and analyzed crucially in order to make the paper fruitful, informative and purposeful.To prepare the report, I have collected all kinds of related data from the primary and secondary sources. There are several ways to collect primary data. For collecting primary data I did follow interview method. 2 I had also collected information through interview with the DSE members. 3 I had collected information through visiting brokerage firms. 3 training reports connected with the stock exchange. The study was limited to DSE to be acquainted with the stock trading procedure .We gathered information about various areas of the stock exchange, its managing procedures, working systems and environments which are very helpful to know & to increase our knowledge & to get more information and data regarding my topic “The trading system of DSE”. The information section of Dhaka stock exchange is very rich that’s why I was able to collect the required books, magazines, periodicals, journals, and the Internet facilities. 6. Adjustment or refund of member’s margin. – (1) The Exchange, in addition to other available recourses, shall, without giving any prior intimation to the member concerned, immediately realize the value of the instruments deposited by a member as member’s margin and adjust the amount so realised against the dues of the member concerned, if he fails to settle his trade with the clearing house on the settlement day. (2) The member shall be liable to pay the shortfall, if any, to the clearing house which remains after making the adjustment as per sub-regulation (1), including the costs, interest, charges and expenses involved in the realization process, within three days of the written notice of demand issued to him by the Exchange. (3) The Exchange shall issue the notice of demand within twenty-four hours of realization of member’s margin as per sub-regulation (1). (4) The notice of demand shall contain, among others, details of the dues, the amount realized against member’s margin, the costs, interests, charges and expenses involved in the realization process, and the amount that remains outstanding for payment by the member to the clearing house. (5) The Exchange may either retain the unutilized member’s margin or refund the same to the member concerned within twenty-four hours of receipt of the member’s request in writing in this respect. (6) Trade of the concerned member shall remain suspended until full realization from him the amount mentioned in the notice of demand as per sub-regulation(4). 7. Maintenance of books and records.- (1) The clearing house and every member shall maintain proper books and records in respect of the member’s margin in such Form as the Exchange, with the prior approval of the Commission, prescribes from time to time. 8. Power to grant exemption. – The Commission may, from time to time, exempt any Order or trade of any member from all or any of the provisions of these regulations. 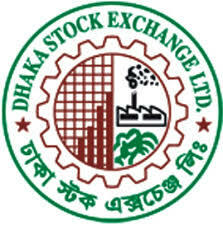 Whereas, the Securities and Exchange Commission deems it to be expedient that, in the interest of the investors and the capital market, certain further amendments should be made in the Dhaka Stock Exchange (Member’s Margin) Regulations, 2000 and Chittagong Stock Exchange (Member’s Margin) Regulations, 2000. Provided that the chief executive officer of the exchange may bring any other company under this category, if deemed necessary, with the prior written consent from the Commission. Auction session can be of two types viz. The issuer: – An entity that puts a financial asset in the market place. Full service participant: – Participants who can operate their own account, clearing account and the accounts of investors. ny benefits if the Investor buy and sell in the depository mode. Number of Instruments are 164 (142 + 8D + 14M), Here D for Debentures, M for Mutual funds & TB for Treasury Bonds (Trading in Public, Block & Odd-lot Market with trade for trade settlement facility for scrip only through DSE Clearing House on T+1, T+3 basis). “A” and “DA” are marked in BASES columns for Non-Demat & Demat instrument respectively in our TESA Trading Software. Z Group: Number of Instruments are 97(Trading in Public, Block & Odd-lot Market with trade for trade settlement facility through DSE Clearing House on T+1, T+7 basis). “Z” and “DZ” are marked in BASES columns for Non-Demat & Demat instrument respectively in our TESA Trading softwar. ** Under the Trade for trade settlement system, member will have to deposit the full money at the DSE on T+1 after purchasing the shares, In case of selling such shares, the seller will have to deposit the full shares at the DSE on T+9. Dhaka Stock Exchange was established in April 28, 1954 and eventually the automated trading system was introduced in both the bourse in 1956. The development has been quite considerable so far and the latest move to establish a central depository in the country also deserved wholehearted praise. After launching the automatic trading system, Dhaka Stock Exchange’s Weaknesses has almost been solved. At present, there are no such Weaknesses as was available during the Cry-out system. However, the following are the Weaknesses mentionable now faced by the Dhaka Stock Exchange. To solve the problem associated with physical transfer of Shares, CDBL should immediately be introduced. It will ensure proper monitoring; eliminate forgery of share documents, apart form giving the speed of doing business in the capital market. Without CDBL the automated system will remain under-utilized. To bring efficiency in the market, particularly with ever increasing trade volume and to derive maximum transparency, CDBL should be implemented as soon as possible. Credit rating enables the investors to judge the viability of the company for investment. Bangladesh capital market can accommodate some credit rating agenc. Software must be latest and update.